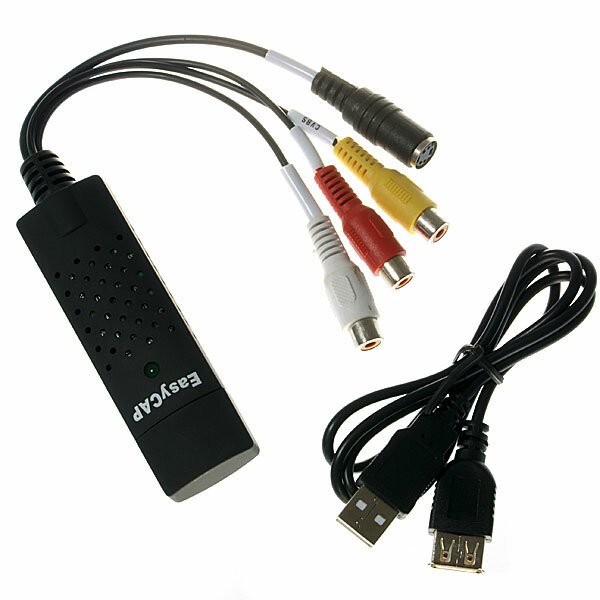 EasyCap is low cost video capture USB dongle based on stk1160 chipset which could be find at low cost from ebay. It allow 1 to 4 cameras to be connected and to implement DVR security survilance on your PC. isn’t there any tutorial – how to? A How To would be nice! Would this driver work with the A10-OLinuXino-LIME? OK no HowTo forthcoming; so I have tried using this driver build and this is as far as I get! The first problem I hit is that Xachiver cannot open the driver file. It reports ‘Archive format is not recognised’. I overcame this hurdle by using 7-Zip on a PC to put the files on a memory stick. make: *** /lib/modules/3.4.75+/build: No such file or directory. Stop. If I use file manager to inspect /lib/modules/3.4.75+/build I see that it is a symbolic link. So I assume it is pointing to a non-existent file. I read somewhere that there is a problem with symlinks in the A13 build. I am not a newbie, I have tinkered with Linux for many years. Usually I can find a solution to problems via Google. This time I am out of my depth. Can anybody tell me what is the next step? I have successfully compile stk1160 on linux-sunxi 3.4.67+ for A10-Lime + 4xAV Easycap after patching dma-buf in kernel + cross compiling stripped media_build. All is running OK. I’m going to write a HOWTO soon 🙂 As of easycap it is working successfully with no interventions in 3.4.67+ but it can’t switch input channels so you are stuck with AV composite channel 0 on 4channel capture or if you want to capture from s-video on 1channel capture. I look forward to seeing your HowTo. I have posted a response 2 days ago, BUT it is not appearing here! I am trying to follow your instructions. I have done the git clone. I assume this the /proc/config.gz in the root of my A13-OLinuXIno Debian image. What parameters do I need to pass to gunzip? e.g target dir, etc. As I said in earlier post, I have ‘tinkered’ with Linux for a number of years, but not at this level. So please excuse me if this is a bit of a ‘Dumbo’ question. If I do -t -v gunzip /proc/config.gz I get a message saying ‘/proc/config.gz OK’. If I do -l -v gunzip /proc/config.gz I get a message giving info on compression method (deflate) compression ratio (76.7%) etc. So I am targetting the correct file, I can ‘Read All About It’ BUT I cannot extract it. WHY? I am interested on an image for A10 olinuxino lime board with the stk1160 driver. I have read all your comments, however I do not know a lot about linux and kernel compilation. It seems very difficult for me. Is it possible someone share the final image with stk1160 support for writting it to the microsd card directly?. I gave up on this; life is too short!! You could try a private message to scout_3pm as per his post above.